Kids want cool gifts, parents want science gifts for kids. Sometimes parents feel like there is a battle between what kids see as cool gifts, and what parents see as piles of plastic. Even parents who know the value of creative play can often get frustrated with the ads popping up all over the place about the next big collectible this or that. Bringing education to all sorts of products is my mission in life, which is why I want to give you my favorite list of cool gifts that bring science to kids (because I am a huge science geek). You can also take a moment to check out my Science with Toys series to get ideas on bringing science to fun things like Fingerlings, Shopkins, Squigz, and more. These ideas help turn all sorts of cool gifts into science gifts for kids. Plus, it opens the door to quality time and fun projects that you can do together (or not). 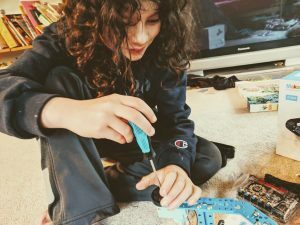 If you are looking for cool gifts that center around robotics, check out my evolving post on Robotics for Kids to check out my recommendations for your needs. I have listed these science gifts for kids in an approximate order of expense, with less expensive items listed earlier. That way you can scroll through depending on your ideal budget. Not sure what to look for in science gifts for kids? I’ve got you covered! 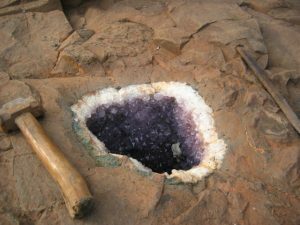 Check out my guide to buying cool gifts with a science twist. 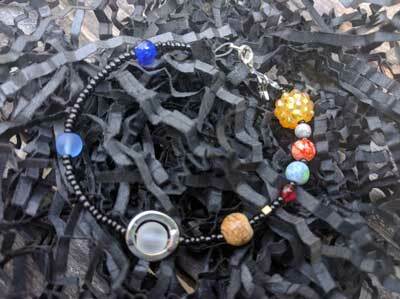 These solar system bracelets are a great way to teach kids about our place in the Milkyway galaxy. They come in two types, a fancier fishline look, and a more rugged paracord version. This is one of those science gifts for kids that has so many facets: building, creating, learning, wearing. It makes a great stocking stuffer or present topper that will be sure to delight. I’ll be honest, K/Nex has never fully taken my heart, not like Lego has. But I have to give them a huge high five for this bow building kit. My neighborhood gaggle of kids spent hours upon hours last weekend building popsicle stick bow and arrows. I can only imagine their excitement and forest fights with this kit. Best of all, if your kid ends up devouring this project, they have lots of other kits to build other nerf type toys. This is a cool gift for older kids since they will need to be handling a soldering iron. Once kids learn to solder, however, there is a huge world of easy solder kits that build pianos, laser harps, LED ornaments, radios and more. I love this kit because it comes with everything you need to get started. 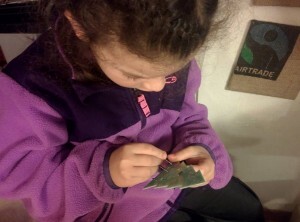 I began teaching my kids to solder very young, although we have a TON of rules in place and are insanely careful with them. 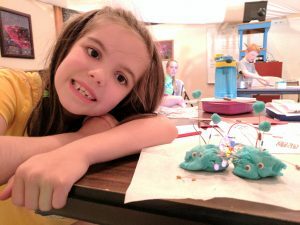 If you want to bring circuits to your kids but are worried about their age or abilities to solder, fear not! This circuit clay is a great introduction. Once you have a few basics down you can start working on my wealth of paper circuit projects! I am convinced Lego will be the currency of the future. Want a candy bar? That will be twenty 2 by 2 bricks. But seriously. Lego. Can I even begin to pay homage to the amazingness of Lego? No. Absolutely not. Lego is the ultimate creative play toy that can teach robotics, engineering, programming, math, and more. It is limitless. They have kits that kids of all preferences will like, making this one of my favorite cool gifts to give. This is a super cool gift for kids. Not only do they get to build a sweet Batmobile from Lego, they also get to drive it around with a tablet or controller. Lego is already on my list of cool gifts for kids because there is so much free play, spatial learning, engineering, and other skills that kids can learn while they play. Plus, there is talk in the pipeline of hacking this car to make it programmable, making it a fabulous science gift for kids. We got a classroom set of 3D pens for my science library and they have been a huge hit. 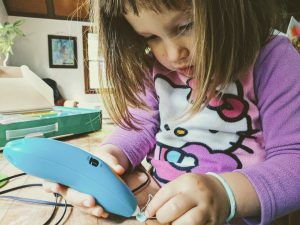 Kids love being able to mold plastic to their heart’s content, and there are even 3Doodler versions are safe for little hands (although the filament is much more expensive since it has a very low melting temperature). I love the creativity and spatial reasoning these pens bring about, making it one of those science gifts for kids that doesn’t quite feel all that geeky. The mBot ranger is my current top pick for the season. This is a great little robot that allows you to both build and program a super cool robot. Plus, the app to control the robot has similar fantastic features that other companies like Wonder Workshop have. This is one of those science gifts for kids that keeps on giving. 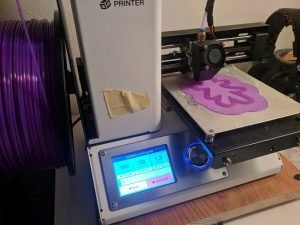 Not only do you get to build a 3D printer (hello awesomeness, quality time, engineering, and more), you also get to use it. We use our 3D printer for all sorts of silly and serious things. We make custom cookie cutters (the perfect gift for grandparents), helmet hangers, robot bodies… The list is endless. This is one of those cool gifts that will pay out its weight in gold and you will find yourself saying ‘that was the best purchase ever’. Yes, I know this is the third time I have mentioned Lego. I’m pretty sure I mentioned the first two times how much I LOVE Lego, so it shouldn’t be too much of a surprise that I think their programmable Lego kits make super cool gifts. They usually start around 100-150 so they are on the pricey side, but it is a great way to combine building, robotics, and programming in one toy. OK, I struggled with this one a bit, because another manufacturer of computer kits, Kano, is less girl-centric. However, it’s hard to recommend a company that has non-fantastic customer service. If you can get over the words “for girls” on the box of this, you will see it is super fantastic for all kids. Personally, I recommend this and a black sharpie to ink it out if you have boys. Although, it can be a great opener to talking about gender stereotypes. It is one of those cool gifts that kids will be enthralled with. They might even disappear into their room to build some cool creative story with Scratch for days on end. Need more gift guide ideas? Check out last years STEM gift guide!